My grandma always says that when trying a new Mexican restaurant you must order the beans - you can always tell how good the restaurant is going to be by the beans. This theory has yet to fail me. When applied to Taqueria Miranda at 404 W Sherman Dr., it checked out. The Miranda family’s influence comes straight from Guerrero where matriarch Josefina Miranda and her partner are from. “Everything we make - we try bring the food from where she is from,” said Esmeralda Miranda, daughter of Josefina. 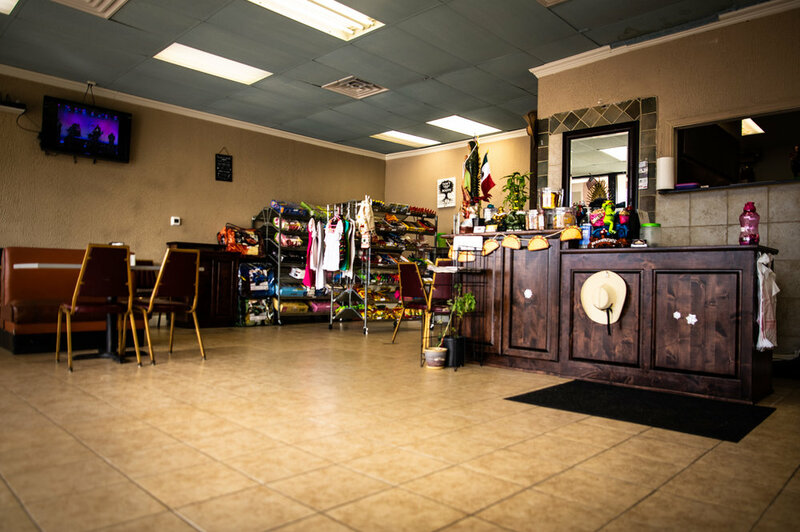 Upon entrance it is smiles, Norteño music, and a notable little tienda in the corner filled with Mexican candy, blankets and more matched with the smell of those beans. Taqueria Miranda opened back on Aug. 17, 2018 - a day within the the North Texas Fair and Rodeo dates. “Pos estuvo bueno porque como estado la ferias,” Josefina said. The North Texas Fair and Rodeo sits right behind the Kroger on University, a straight view from Taqueria Miranda. Suffice it to say, their opening day was a lucky one. For about a year and a half before, they sold asada tacos, elote, and fresa con crema out of their home on the weekends purely through the power of Facebook. People came back every weekend and the family had a hunch there was something special about the food. Still, the family did not expect to open a restaurant as soon as they did. “We were thinking of opening restaurant but not soon. We wanted to still wait, but my brother just went ahead and still surprised us - he said ‘I got y’all a place,’” Esmeralda said of her brother Jose Miranda. It was a bittersweet surprise as the family had to then dedicate 5 months of money and energy fixing up broken floors, walls, bathrooms and more. “It was a meat market back then - it was not pretty,” Esmeralda said. But it being their dream, no matter how exhausting, they made it work. Mexican restaurants have a different flavor to them always depending on the region the families come from. The Miranda’s really feel their Guerrero influence has made people come back. Making tortillas homemade and big is a quality Esmeralda says people are consistently satisfied with. The corner with candy and other Mexican items to purchase were brought by Esmeralda’s grandma from Guerrero and they feel it adds to the uniqueness of the spot along with what patrons notice the most - Josefina’s friendly attitude. “Yo me gusta platicar - con a veces me preguntan ‘como de parte eres?’ ‘Soy de Guerrero,’” Josefina said, proud to claim her roots again. “My mom likes to be friendly all the time, she likes to sit next to them while they are eating and she will just talk,” Esmeralda said. Josefina said she lived in Dallas when her family first came to the U.S., but they didn’t have much money. They worked, “pero no rendir dinero,” where she was working was not paying. So, they moved to Denton and saw better opportunities. Her first job in Denton was at Black Eyed Pea and since had stints at other restaurants such as Taco Lady, daycares, gasolinerias, Mi Casita and Casa Galaviz. 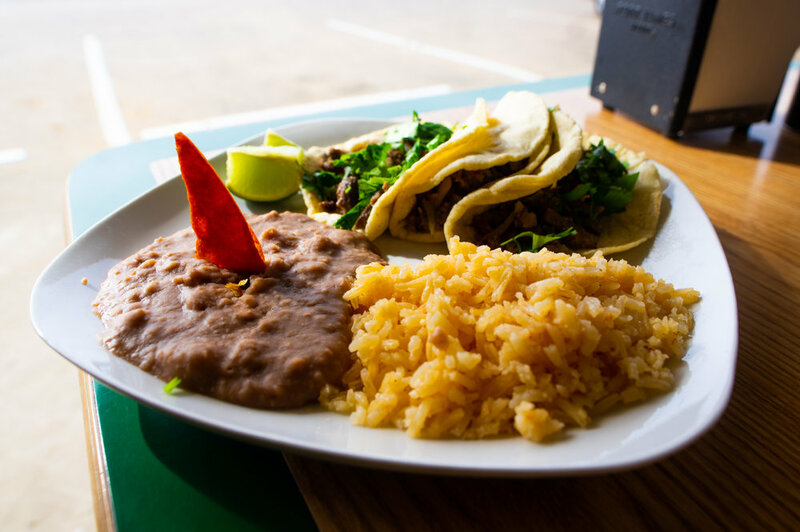 The owner at Casa Galaviz, Jose Galaviz, has helped Taqueria Miranda the most in creating an up-and-running restaurant. They wake up every morning at 6:30 a.m. to prepare and although the days are long, that is Josefina’s only real complaint. She would much rather be running her own restaurant than working two jobs as she has before. “When I got to this country I wanted to have a place, I always said that when I could, I would, even at this age,” Josefina said in Spanish. The two women said even if it was a surprise, difficult, and maybe even untimely, it is still worth it. After the interview, it was time to try some food - two plates of asada tacos. Immediately upon the plates’ arrival, one sees the presentation is gorgeous but without airs - a cute little shark fin-esque chip rises from the murky refried bean waters, while the salsa comes in a brilliantly saturated blue bowl. We’re also given three different salsas with the food, the variety of which is not as precedented in other taquerias about town. Whether you’re looking for something creamy with a bit of kick, or something lighter and more mild, your salsa needs are taken care of. At first bite of the asada tacos, it’s immediately obvious: the corn tortillas are thicc y’all. With a nice airy fluffiness that comes only with love and attention to each individual tortilla, the taco becomes not just a delivery vessel for the fixings within, but part of the delight of the meal itself, adding a nice buttery comfort to the affair. That’s to say nothing of the asada itself, which strikes a balance between the unassuming simplicity of street food, and the homespun comfort of traditional family cooking. Every element of this meal speaks to the establishment in general, and all of its little touches: a place of real, handed down tradition, happily shared with our community. There’s nothing big and flashy about Taqueria Miranda, and that’s exactly what we love about it: because the love of heritage and tradition shines through best in the little things.